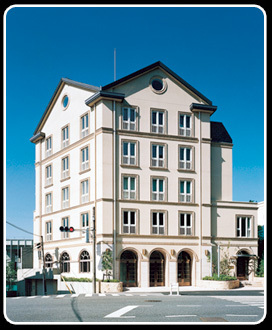 Yamamoto Yogyo Kako Co., Ltd. Designs stay beautiful longer thanks to finish coatings that are sophisticated and incredibly durable. 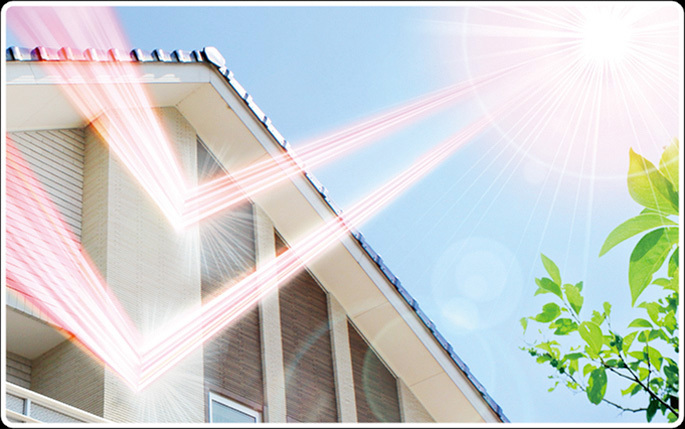 This dual heat-blocking/insulation coating, when used in combination with heat-blocking paint for rooftops, promotes even higher energy-saving performance. For more information about heat-blocking paint for rooftops, please contact us. Test method: One aluminum panel (200 mm x 85 mm) coated with general-purpose paint and one aluminum panel double-coated with Terra-Cool Si and Eco-Fande were subjected to light from a Mitsubishi RF infrared lamp (100 V, 125 W) placed 250 mm from the surface of the panels. Temperatures on the rear side of each panel were measured. 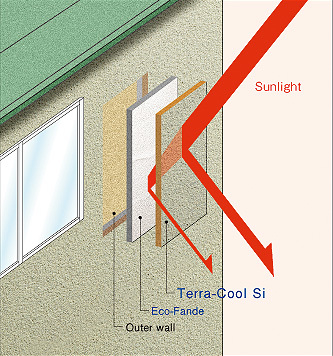 *Test method: The solar reflectivity of a panel with a single coating of Terra-Cool Si was measured in accordance with JIS K 5602. 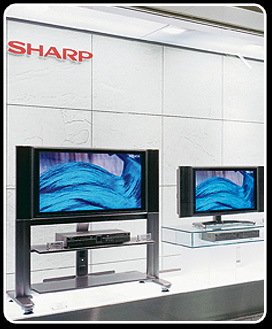 Test method: One aluminum panel (200 mm x 85 mm) coated with general-purpose paint and one aluminum panel with a single coating of Terra-Cool Si were subjected to light from a Mitsubishi RF infrared lamp (100 V, 125 W) placed 250 mm from the surface of the panels. Temperatures on the rear side of each panel were measured. 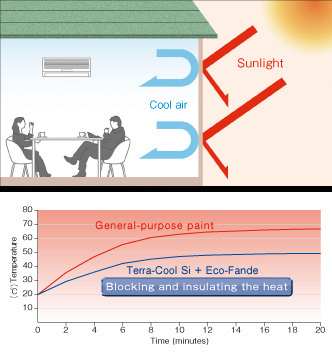 Eco-Fande provides summertime insulation that prevents the penetration of heat from outside, while retaining cool air inside the house. In winter, by contrast, it keeps cold air from coming in and prevents warm air from escaping. Test method: One aluminum panel (200 mm x 85 mm) coated with general-purpose paint and one aluminum panel single-coated with Eco-Fande were subjected to light from a Mitsubishi RF infrared lamp (100 V, 125 W) placed 250 mm from the surface of the panels. Temperatures on the rear side of each panel were measured. Natural granite radiates a sense of elegance. This spray-on coating captures the solid feel of natural granite with rich color tonality and a sense of depth. The three-dimensional texture of CERACUBE gives rich expression. 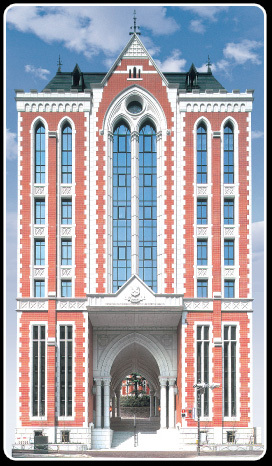 The multicolor tonality and three-dimensional texture enhances the beauty and appeal of any building space. Create the look and feel of natural stone simply by applying adhesive-bonded lightweight, elastic sheets. The flexible sheets can be applied even to curved surfaces and round pillars. Can be matched to any building construction and design with an easy installation process?just affix the sheets to the surface with adhesive. Our proprietary color matching technology can match the natural color of real stone such as granite, and can create color combinations that harmonize with the colors of other materials (for example, stone and tiles). 笳拶ctual product colors may differ slightly from those viewed on a monitor screen. Please check colors with their corresponding samples. Color tones and finish patterns may vary depending on the condition of the foundation layer and depending on how the coating is applied. 笳札ue to the characteristics of the main component, coloring may be prone to slight variation. 笳惨pecifications and availability of these products are subject to change without notice.